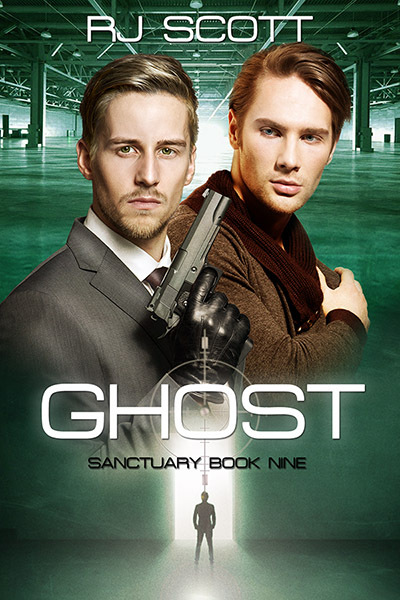 Scattered Thoughts & Rogue Words - 4.5/5 "...Ghost (Sanctuary story #9) is a terrific installment in the espionage thrillers from RJ Scott. In Ghost, the author delivers the answers to major series plot points that have been haunting readers from previous stories while bringing us a suspenseful, white-knuckle ride that also happens to include a romance to die for. I love it when that happens." Padme's Library - 5/5 "...Sanctuary does what is does best, protect the hurting, I can't quite say innocent because let's face it, the cases, protectors, and protectees can fall into a bit of a grey area when it comes to the legal side of the table. The chemistry between the boys is off the charts, whether it's mud-slinging, easy going banter, or just existing within the same four walls, you can just feel the heat emanating off your e-reader. If you are sitting down to read the print version you better be prepared for spontaneous combustion because Ghost is full-on foreplay...If you haven't read Sanctuary, Inc yet I highly recommend getting your fingers walking, prepare tons of your caffeine beverage of choice, and diving in because you won't surface till you finished." Jim's Reading Room - 5/5 "RJ Scott does it again… another fantastic novel in her incredible Sanctuary series, which should come as no surprise to anyone who has read her works....Ghost has more twists and turns than a bag of curly fries. It keeps you guessing as to whether the man Sanctuary calls Ghost is a good guy or a bad guy. Sanctuary operatives aren’t sure themselves. Skipping to the end of the book to find out is not allowed!" Any more news on when this book is going to be available? I love this series!